Story: For one bustling Manhattan apartment building, the real day starts after the folks on two legs leave for work and school. That's when the pets of every stripe, fur, and feather begin their own nine-to-five routine: hanging out with each other, trading humiliating stories about their owners or auditioning adorable looks to get better snacks. The buildings top dog, Max (voiced by Louis C.K.) a quick witted terrier rescue who's convinced he sits at the centre of his owner's universe, finds his pampered life rocked when she brings home Duke (Eric Stonestreet), a sloppy, massive mess of a mongrel with zero interpersonal skills. 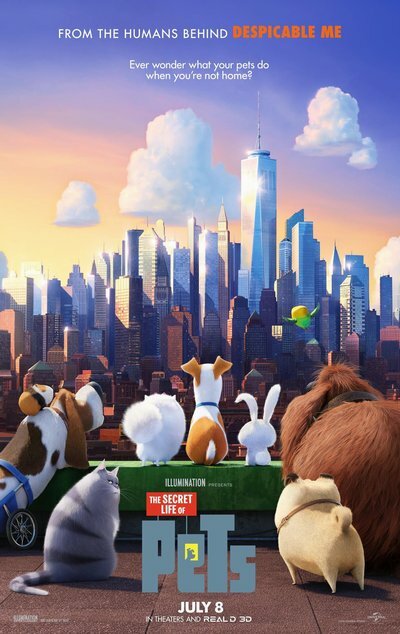 When this reluctant canine due find themselves out on the mean streets of New York, they have to set aside their differences and unite against a fluffy-yet cunning bunny named Snowball (Kevin Hart), who's building an army of ex-pets abandoned by their owners and out to turn the tables on humanity…all before dinner time.